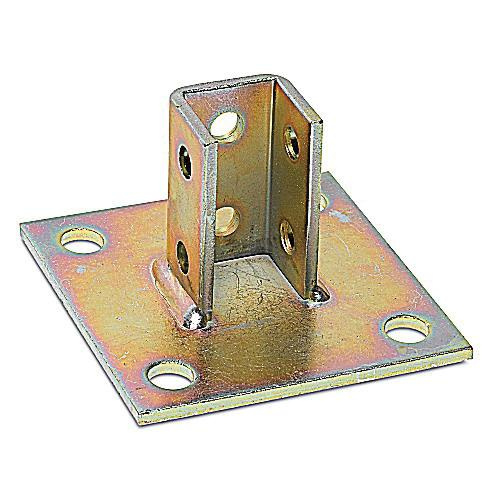 Thomas & Betts Kindorf® Square post base connector features steel construction with corrosion-resistant Galv-Krom® finish for long lasting durability. It measures 3-1/2-Inch x 1-9/16-Inch. This post base has 3/4-Inch holes on 1-1/2-Inch centers and material thickness of 3/16-Inch. It is suitable for use with Kindorf® channels.